Football fan? Get ready to smile, because Yggdrasil's Bicicleta is a video slot that scores on multiple levels. 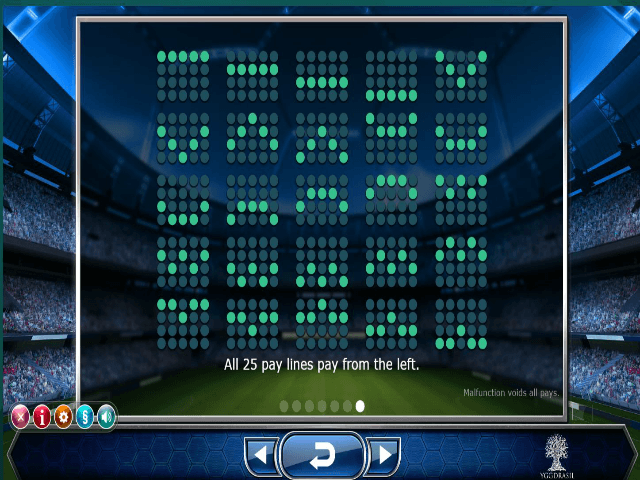 Sure, some of the footballers on display look a little bit retro, but this classic online slot never gets old. In fact, what Bicicleta does well is remain interesting and entertaining without going over the top. Instead of flooding the interface with animations and an matrix of win lines, the developers at Yggdrasil have made Bicicleta clear, concise and all about the reels. To help you get ahead of the game before the whistle blows, we're here to give you a few tactical insights with our Bicicleta slot review. Taking you through every highlight and way to win, our Bicicleta guide will ensure you're ready to rock when the reels start to roll! 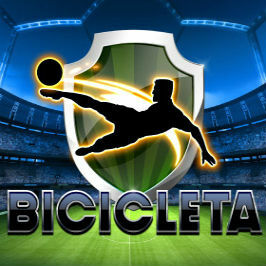 Play Bicicleta for Real Money! Bicicleta is part of the popular Yggdrasil sport series of slots - not to confuse with Microgaming's star sports series including Football Star - meaning you'll get five reels and 25 win lines when you ante-up. Because this game costs as little as 0.25 credits (or as much as 100 credits) to play, it's one that virtually all players can take a spin on. What's more, to make the Bicicleta online slot more efficient for players of all persuasions, the software provider has added 'max bet' and autoplay functions to the mix. Although these added extras won't increase your ways to win, they do help to improve the overall flow of the game and make it one that you, despite of the sports theme, don't have to expend much energy on to enjoy. Like its sporting counterparts from the Yggdrasil stable, Bicicleta also features the sights and sounds you'd association with a high profile football match. 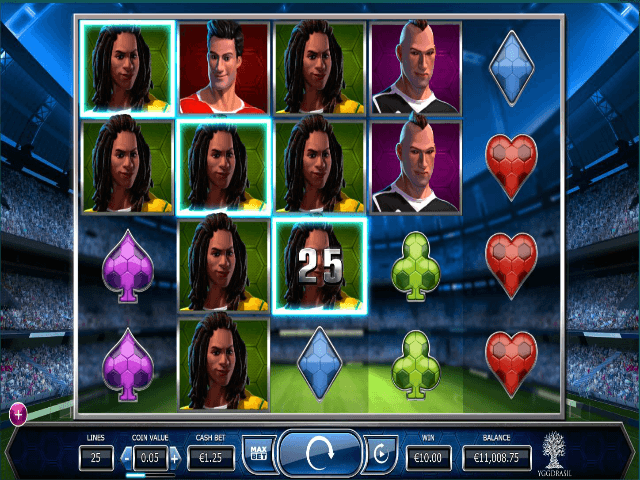 From the stadium backdrop and international football stars to the way balls come to life when you roll in a win, this video slot is highly dynamic: one of the big reasons it's a major player with sports fans. When three or more scatters (footballs) fly into view, you'll get between eight and 24 free spins. 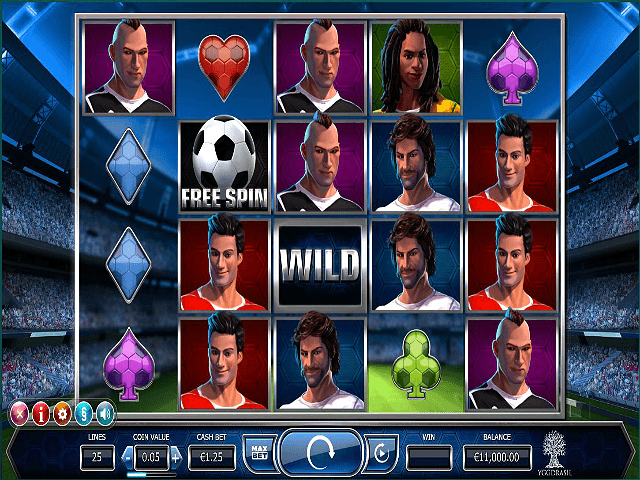 To help make this in-game bonus even more lucrative, each footballer that lands in view will sit in place, acting as a sticky wild to create more winning combos. If the winner's cup appears on the 5th reel during the main game, you'll get 8 to 12 free spins as well as an instant payout worth 1,000 coins. If you're already enjoying a free spins bonus and the trophy appears, you'll get 2 to 4 additional spins, up to 1,000 coins as well as aces to the Wild Reel Feature. If you roll in a trophy during your free spins, the wild reel feature will turn all the symbols on one random reel into sticky wilds. Having one reel completely covered in wilds gives you even more ways to win prizes worth in excess of 500X your stake. If you want to score in the online slots world and take home your winnings before the final whistle blows, line up and take a turn or two on Yggdrasil's Bicicleta. Share this Bicicleta Review today! 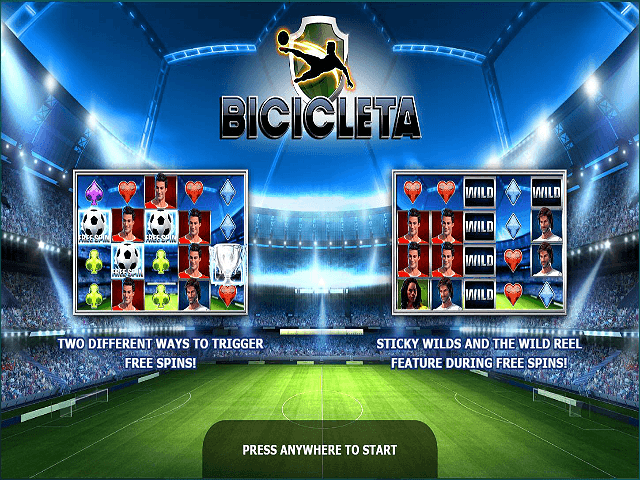 If you like Bicicleta, you'll love these slot titles too!